Big River Blues are an eclectic new band hailing from Clarence Valley. With band members hailing from the communities of Wooli, Diggers Camp, and Wooloweyah, they spent six months together toiling at their craft and letting their sonic explorations weave into a brilliant fusion of blues-soul-funk-rock before a baptism of fire in January 2017 at the Wooli Pub. The wildly positive reactions from those who witnessed Big River Blues debut instantly lead to the Wooli Publican bringing them back as soon as possible 12 days later. With ever-growing crowd approval they broke the Wooli Club Sunday music attendance records the following fortnight. Wooli had truly embraced Big River’s fiery and passionate sound and for good reason. Using the vast catalogue of material by a myriad of legendary 60’s & 70’s artists as a springboard, Big River Blues’ stream-of-consciousness style playing combines amazing emotional content with tremedous technical control. Picture a seamless interaction of vibrant fluid guitar and vocals wonderfully enhanced and fully supported by a solid backline of thumping bass and snap-tight drums and you have Big River Blues. 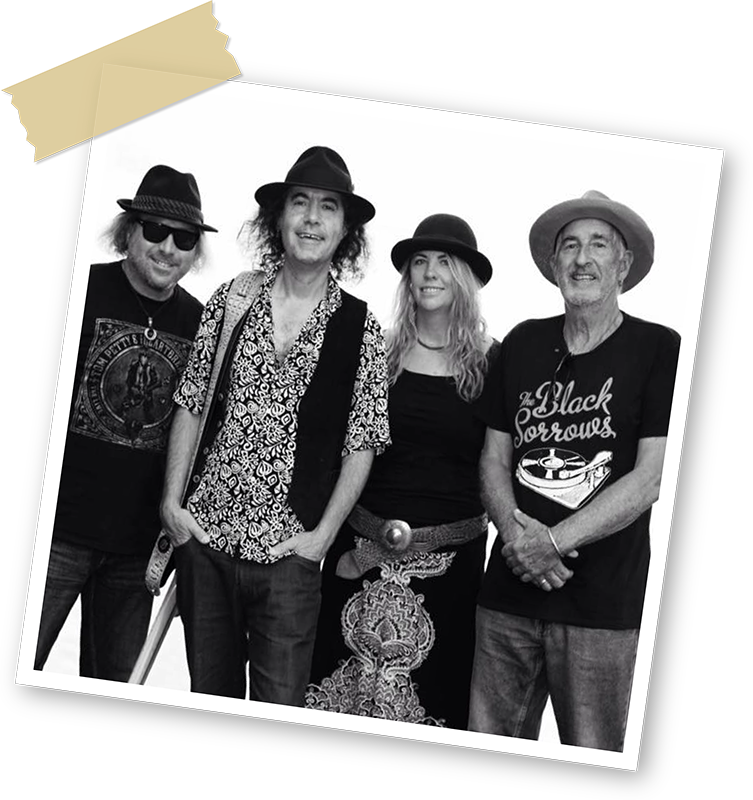 Featuring performers with years of national and international experience Big River Blues are the awesome abilities of Melissa Smith (vocals, percussion and rhythm guitar), Dom Ferry (guitar), Mark Watson (bass guitar) and Faron Young (drums).